With being what I think is the last post in the “Beyond SAMR Series”, I want to emphasizes several other ideas that will allow you to employ SAMR and then take a few more steps. As stated in an early post, SAMR is a wonderful model to begin with, as teachers learn to integrate technology into their curriculum. For those unfamiliar with SAMR, this is a model that allows teachers to see different stages of technology integration. At the same time, as teachers travel on a best practices journey it will be important to look at lessons with some other filters, SAMR, after all, is only one. Your question might be… can you explain further? Please understand that the highest level of SAMR is not always filled with deep learning and rigor. Sometimes it is just transformative technological in action, not representing real transformative learning. Understand that there may have actually been higher levels achieved on the way to the final step. Is it possible to get to the top step with out higher level l;earning? Imagine an entertaining and polished green screen presentation summarizing route content, with no higher order thinking. The technology has gone through a Redefinition… but has the learning? For this reason I ask teachers to use both Blooms and Webs DOK as a filter along with SAMR as they employ technology. The high-end of SAMR provides a wonderful opportunity for students to own content creation with the redefinition of technology use. At the same time,we must think about where the content thinking applies on our other filters. Most of us are familiar with Blooms. These amazing verbs allow our students to perform the verbs of remembering, understanding, applying, analyzing, evaluation and creating. It is important to note what steps the students took to get to creating. Did they have to go beyond remembering… or did they even have to remember. It is possible that they could be at the top of Bloom and SAMR without some of the other high level or even basic verbs. When designing a technology task be aware of the Bloom’s verbs that are being used. In fact, why not bring in Webb’s DOK. While not as well-known, it is important. Let’s take a closer look. Webb’s actually contains four levels. I have listed these below with possible verbs and applications that might be associated at each level.You may wish to learn more about Norman Webb’s Depth of Knowledge Levels. 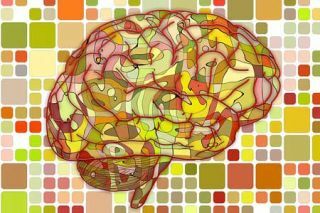 Recall and Reproduction – This task does not require high cognitive tasks and is not real demanding except to those who have problems with memorization. The idea is really based on learning facts, and learning could actually be questioned based on your definition. Verbs include: copying, matching, memorizing, computing, defining, recognizing, labeling. Skills and Concept – This is usually a task with more than one mental step. It may require some extra thinking but will have one closed answer. It will usually require application of a skill or understanding of a concept. Verbs include: comparing, predicting, organizing, showing, modifying, summarizing, estimating. Strategic Thinking – This may require multiple answers or approaches. It requires an understanding and may require a reasoning and abstract thinking to provide a multiple step response. Verbs include: solving non-routine problems, designing an experiment, or analyzing characteristics, formulating hypothesis an answer, develop argument, differentiating between idea, designing to solve a problem. Extended Thinking – This task requires the most complex and extensive cognitive effort. It demands the synthesis of information from multiple sources, often over an extended period of time. It can also include the transfer of knowledge from one domain or area to solve problems in another. It can represent the idea of real applications in new situations. Verbs include: applying concepts, connecting ideas, reasoning, designing, critiquing. 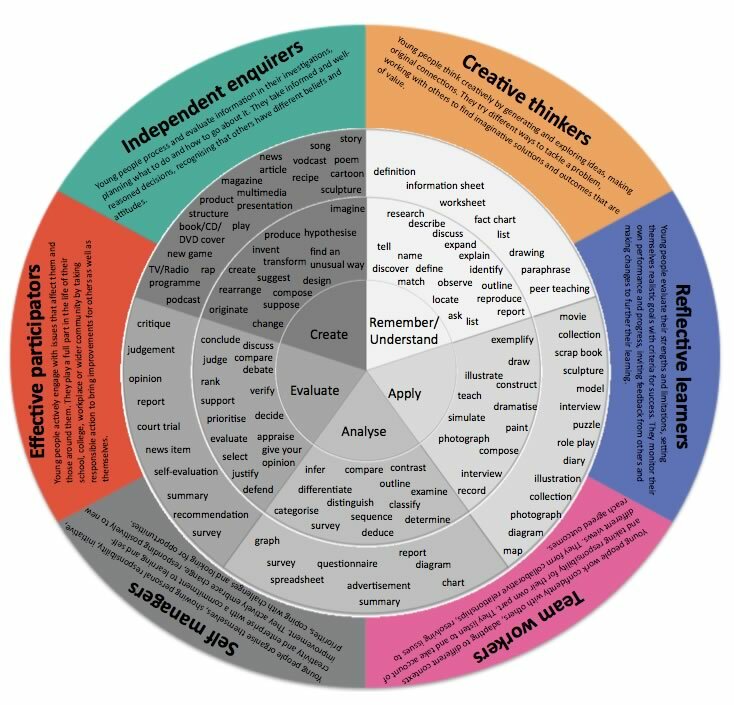 Webb’s DOK is a very important filter, along with Blooms, when integrating technology in the educational setting. Many times a project will display signs of SAMR’s substitution but lack important levels in Webb’s DOK and Blooms. Take a look below and try to assess the deeper learning and rigor in the following projects. Students type an opinion paper contrasting the ideas of Britain and the Colonies in regards to the American Revolution using articles supplied by teacher. Students invent a new water purifier for under $50 that can be used in drought stricken areas of Africa citing recourses and demonstrating success and possibility of use for product. Students in robotics studying gear ratio program a car to go through maze.